It’s difficult to choose just five apps when there are so many great ones out there for marketers to use. But I’ve highlighted five here that stand out above the rest. These are apps that we use on a daily basis here at LeapGo, and if you’re serious about marketing, you’d do well to check them out yourself. SumoMe is a free suite of tools that are all superb for lead generation (you can upgrade to a paid account for more features). It consists of three main tools that focus on different areas of lead generation: List Builder, Heat Maps, and Share. Here’s a look at these in more detail. The pro version of this includes A/B testing, no branding, more templates, more control, conversion tracking, multiple popups, and more. Heat Maps is the next tool, and this allows you to see where visitors are clicking on your site, and you can gather data to help with your CRO. (I also wrote on these recently, see the blog here). Find out which elements get the most attention from visitors, how far visitors scroll down the page and get real-time feedback. Share is the third tool, and this makes it easy for visitors to share your content. It connects with over 16 social services, allowing you to add smart share buttons that are optimized for each page. SEMrush is one of our faves at LeapGo. 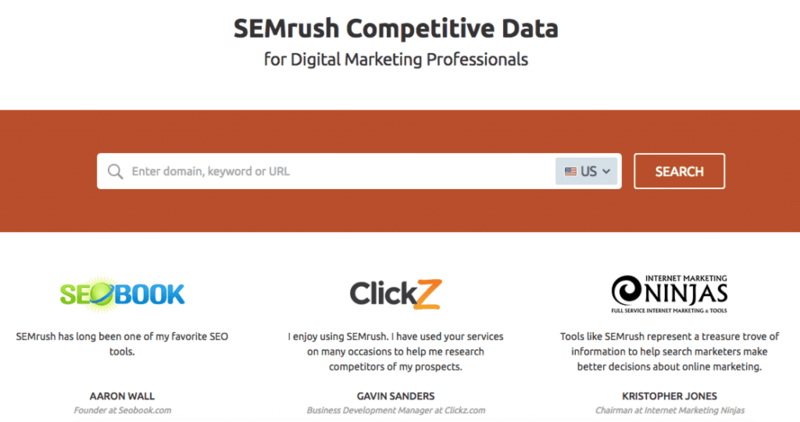 Personally, I think this is the best all-around tool for keyword research, tracking SERPs, link building, and competitor analysis. We save so much time for our clients using this tool because we can use it to get a close-up look at competitor websites and find the very best backlinks. By working out exactly which sites you can get links from, and which sites to avoid, we save a lot of hours. You already know how essential good keyword research is for successful online marketing. With SEMrush, you can not only find out which sites rank high for one keyword, but you can then find out which other keywords they rank for so you can expand your list. You can also use it to analyze your competitors’ PPC and other online marketing campaigns, and you can find out where you outrank your competitors, which keywords they are ranking higher than you for, where you could improve, where you are doing well, where your organic traffic is not great, which keywords you rank for that are not worth the effort … and much more. In short, it’s one I would highly recommend using for any serious marketer. If you carry out any form of social media marketing (which I assume you do), Sprout Social is the tool you need. It provides a suite of tools, offering different solutions for small businesses, agencies, and enterprises, covering everything you need for a successful social media campaign. Use it to monitor and find conversations to join, start your own conversations, reach your audience, and optimize your efforts, as well as monitoring brand mentions. You can also use it to provide customer service and respond quickly to resolve problems your customers face. Publish messages across multiple platforms from one simple interface, and take advantage of powerful analytics and customer reports so you can consistently optimize your campaigns. Part of successful SMM involves planning and publishing content, and Sprout Social has you covered there too so you can keep your brand top of mind We published a blog on how we use Sprout Social a while back, but much of it is still relevant if you want to read through it. 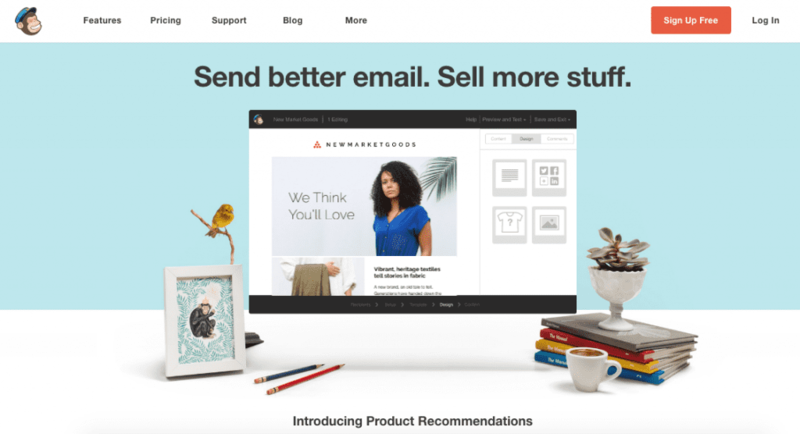 An email marketing tool of some description is essential—and MailChimp is one of the best you can get. 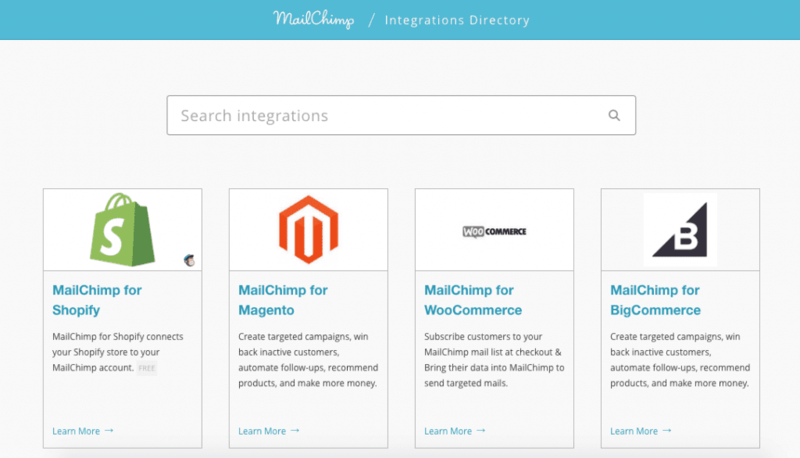 One of the things I really like about it is the number of integrations it has, which you can search here. So if you use another tool like SumoMe, for example, you’ll have no problem linking up your MailChimp list to your exit popup. It’s also got great support, and it provides excellent value (it even has a free version, but you’ll probably want the paid version for your needs). Running a busy online marketing agency involves keeping track of a lot of things (I know all about that …). And the tool you’ll want to keep on top of your campaigns is Base Camp 3. Successful marketing involves good organization. If everyone in your team is sending emails to each other in different places with different messages and attachments, it can quickly become confusing. 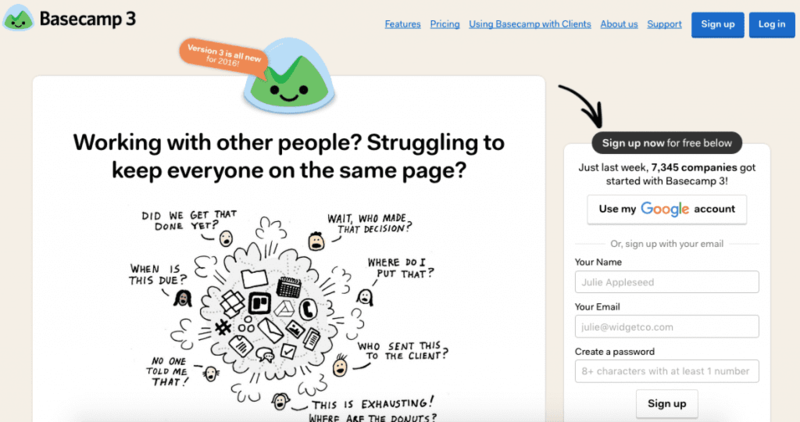 If you need to communicate with a team (as most marketers do), Basecamp 3 is ideal. Using this, you can keep everyone on the same page and tack your blogs (topics, stage of writing, publishing date, etc), manage your freelancers, and ensure everyone knows what they are doing. Over 100,000 companies use Basecamp, which has a good reputation for privacy and security on top of all the features it includes, like message boards, check-ins, to-do lists, file storage, etc. It is basically the only tool you need for managing your marketing activities—and because it’s all in your browser, it is accessible by your team wherever they are, whichever device they are using. Are There Any Others You’d Recommend? These are five of the tools that we find essential here at LeapGo, and I would highly recommend that you try them all out. But clearly, there are many more that you could use. Which ones would you add to the list of essential apps for your marketing campaigns?